How can you stay healthy and strong at any age? Mark Skinner, MD, Orthopedics shares some things about exercise that you may surprise you. How do you make right choice the easy choice when it comes to your health? Eileen Peterson MPH, RD, will discuss simple steps you can take to get fit and stay healthy. Protecting your bone health is easier than you think. 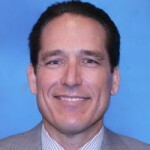 Listen to a presentation by Robert Azevedo, MD, Physician-in-Chief, Sacramento. He discusses how diet, physical activity, and other lifestyle factors can affect your bone mass and overall health.